In response to my Pizza Dough video, here are some instructions for baking a pizza using the dough prepared as per my recipe. 1. Preheat oven to 400° F. If using a pizza stone let it preheat in the oven as per instructions. 2 .Stretch one piece of dough into a 12 inch circle. Place the dough on a peel sprinkled with cornmeal or flour. For a traditional pizza, top with tomato sauce and shredded mozzarella cheese. Other toppings may be added at this point. 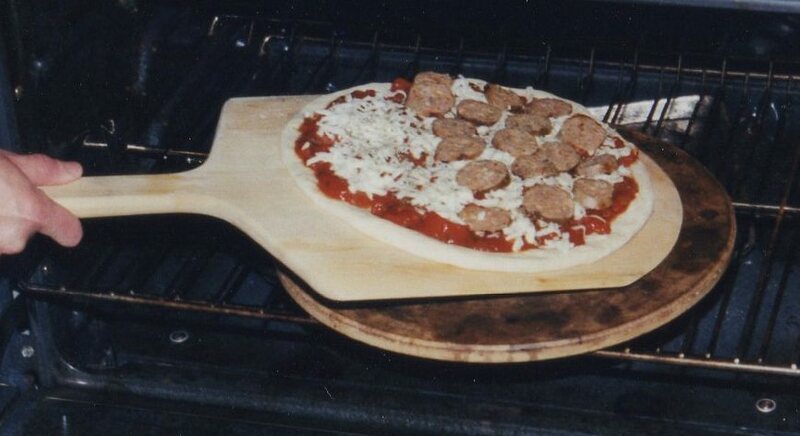 If using fresh sausage, make sure that it is fully cooked before using as a pizza topping. 3. Slide the pizza onto the pre-heated pizza stone and bake for 20-30 minutes. 5. The pizza is ready when the bottom is nicely browned and the sauce is bubbling through the melted cheese on the top. I've been using your pizza crust recipe for about a month. We have pizza night on Sundays and this is the recipe that I'll use from now on. Thanks again for sharing your video and recipe!